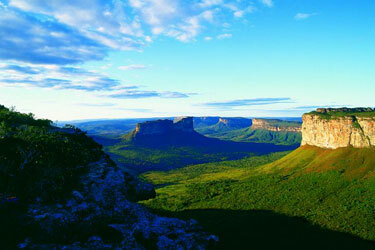 Vibrant, diverse, culturally and ecologically rich, Brazil provides endless opportunities for exploration and adventure. Colonized in 1500 by the Portuguese and a haven for immigrants from many nations, each region is gifted with its own unique characteristics – food, culture, music, festivals, religions and natural resources. 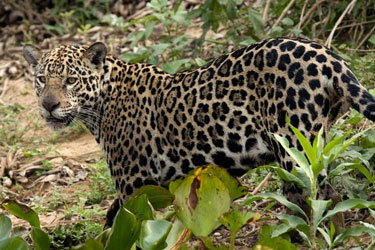 Anyone interested in the natural world should not miss a visit to the Brazilian Amazon. Explore the jungle via riverboat, or stay at a riverside lodge. Visit indigenous villages and view countless varieties of plants and animals. The main attraction is the incredible biodiversity that varies between the wet and dry seasons. 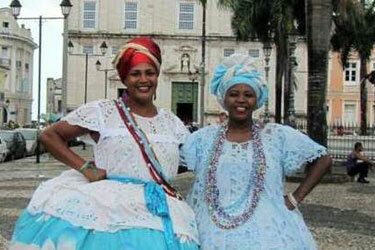 Salvador, the capital of Bahia is for the center of Afro-brazilian culture. Explore the restored, colonial neighborhood of Pelourinho*, dance to the rhythms of axé music, feast on the incredible local cuisine and delight in the company of its gracious and charming people. The hills, caves, canyons, waterfalls and rivers of the Chapada Diamantina National Park are a hiker’s paradise of exotic flora and fauna. The sand dunes of Lençóis Maranhenses National Park are transformed into a wonderland of freshwater pools during the rainy summer months. Matogrossense National Park* is an essential stop for visitors to the Pantanal and the logical next stop for anyone planning a visit to the Amazon. One of the largest tropical wetlands in the world—it’s home to birds, alligators, capybaras, jaguars and more. 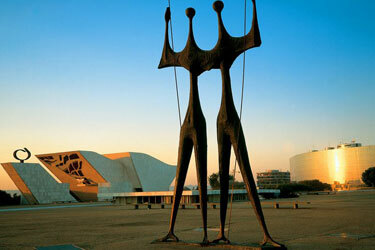 Lúcio Costa, Oscar Niemeyer and Roberto Burle Marx designed today’s modern Brazilian capital city, moved from Rio in 1960. Visitors can enjoy exploring the buildings, gardens and museums of this UNESCO World Heritage site. Stunning, cosmopolitan Rio de Janeiro, once the capital, is the cultural heart of Brazil, at least according to the locals, called cariocas! Spend the day in charming, bohemian Santa Teresa, dance the night away in Lapa, hike the trails in the urban Tijuca Forest, walk in the footsteps of Emperors and touch the feet of the Redeemer, one of the New Seven Wonders of the World. From the city of Rio, visit Paraty, a charming colonial city by the water; Ihla Grande, a tropical island dotted with small pousadas, remote beaches and hidden lagoons; or Petrópolis, the summer haven of the Brazilian Royal family. The highlight of this southernmost region of Brazil is a visit to Iguazu Falls, one of the New Seven Wonders of the World. The most spectacular of the many falls that divide the border between Brazil and Argentina, is Garganta do Diabo or Devil’s Throat. Visitors access the falls from the Brazilian side via Iguaçu National Park* with options to hike, boat and even swim! On the way back from the Falls, visit Güirá Oga, a rehabilitation center for native wildlife. Travel back in time with a day trip from Iguazu Falls to São Miguel das Missões*, the city founded by Jesuits in the 17th century in an attempt to create a utopian society. Many travelers also choose to explore Argentina as an extension to their visit to Iguazu Falls. Choose from our recommended itineraries below or let us create a custom trip for you. Many cities along the coast, such as Salvador and Rio de Janeiro, experience constant trade winds and can be visited year round. Destinations closer to the equator are best visited in the calmer, cooler fall months of April through June. The Amazon, while incredibly humid, does have a dry season from May to October. "My trip to Brazil with Ponte Travels was truly a once-in-a-lifetime experience! Heather and Marta created the perfect itinerary, found boutique hotels, and great tour guides in each place that we visited. Their attention to detail and planning made the trip wonderfully unique, from staying in the beautiful Santa Teresa district in Rio, organizing different entertainment nightly, to making sure that each day had a good mix of cultural and fun outings that gave a unique taste of city life as lived by ordinary Brazilians. Heather was invaluable as she speaks fluent Portuguese, which really helps, especially in the less touristic areas. After Rio, we traveled to Salvador where it felt to me like carnival every night of the week. Ponte Travels organized a drum lesson with a local musician, which was very memorable as well as a cooking lesson at a local restaurant. Part of the Bahia experience that I would highly recommend is the optional trip to two coastal islands of Morro de Sao Paulo and Boipeba. After the adrenaline rush of Rio and Salvador, it was a calm and tranquil counterpoint to be on a tropical island, meeting local people, eating just-caught seafood on the beach as the endless green of the warm Atlantic ocean stretched out in front of you—total bliss!"